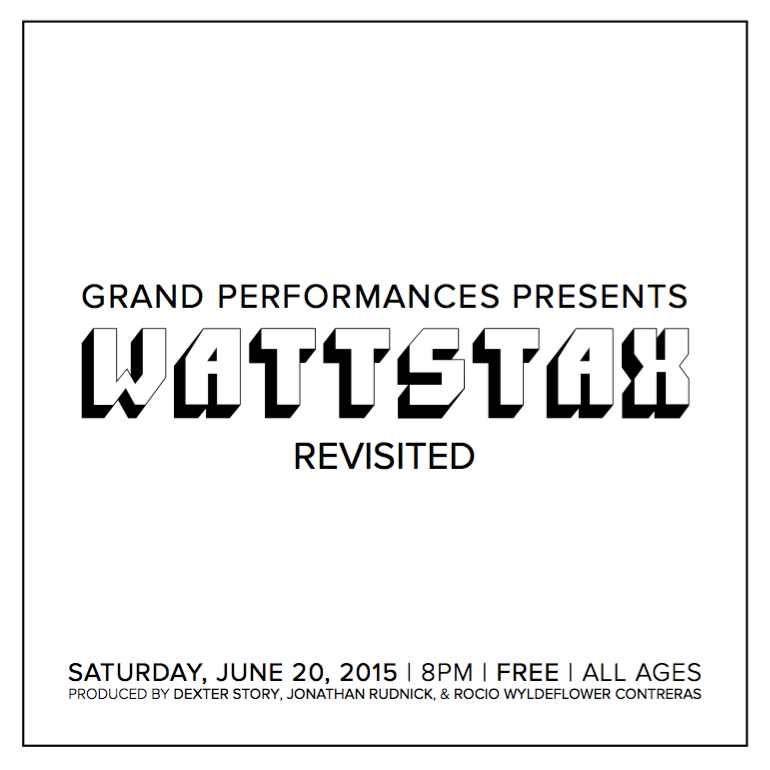 Co-producing and music-directing Wattstax: Revisited on Saturday, June 20, 2015 at Grand Performances. 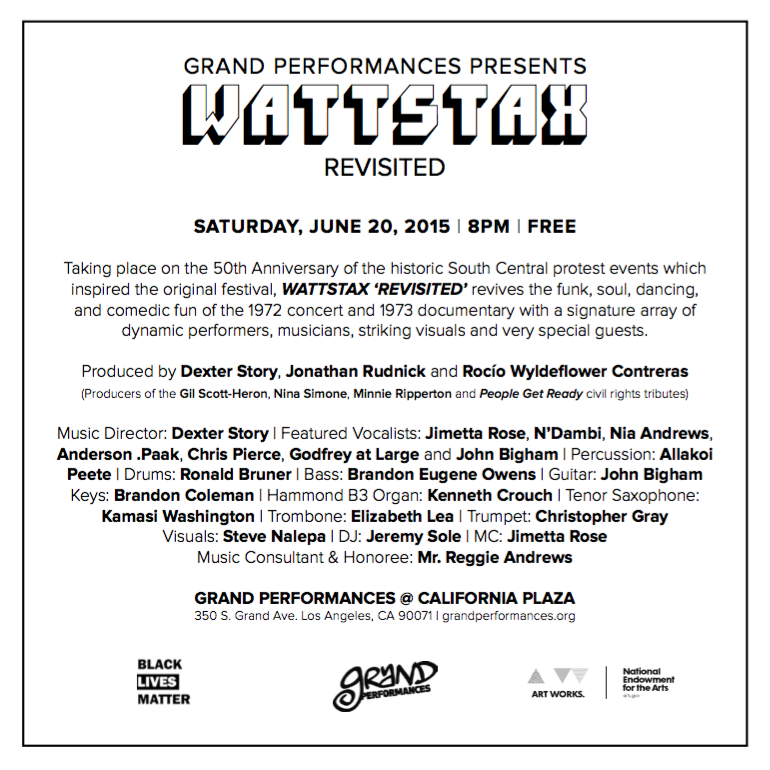 Taking place on the 50th Anniversary of the historic South Central protest events which inspired the original festival, WATTSTAX ‘REVISITED’ revives the funk, soul, dancing, and comedic fun of the 1972 concert and 1973 documentary with a signature array of dynamic performers, musicians, striking visuals and very special guests. Music directing and co-producing People Get Ready: A Live Soundtrack of the Civil Rights Movement at Grand Performances on Saturday, August 2. A vital, stirring and heartwarming Celebration of the Civil Rights Movement & 50 years of the Civil Rights Act of 1964 of Freedom and Equality with a powerful ensemble performing striking new renditions of the anthems that defiantly brought about change in the USA! Produced by Jonathan Rudnick and Dexter Story, the team that brought you the uplifting Celebrations of Peace Go With You Gil for GIL SCOTT-HERON and Young Gifted & Nina for NINA SIMONE.